After weeks of speculation after the Orange Bowl, Kyler Murray declares for the NFL Draft. He has 72 hours to pull his name and can still negotiate with the Oakland A’s. The reigning Heisman Trophy winner passed on his senior season at Oklahoma and also chose the NFL over MLB where he signed a contract with a $4.66 million signing bonus. It has been reported that the A’s backed Murray’s decision to enter the NFL Draft. Though it does not keep Murray from negotiating with the A’s, it does put pressure on them to offer a major league contract with more money than they previously offered. Deion Sanders, who played in both the NFL and MLB, weighed in on the issue with ESPN. “If I was in his shoes, I’m picking up the baseball bat and I’m not looking back,” Sanders said to ESPN. One thing to keep in mind here is what a massive win it would be for Major League Baseball if they were able to land the Heisman Trophy winner. Kyler Murray has the name and brand recognition basically no players do when they are starting their baseball career. 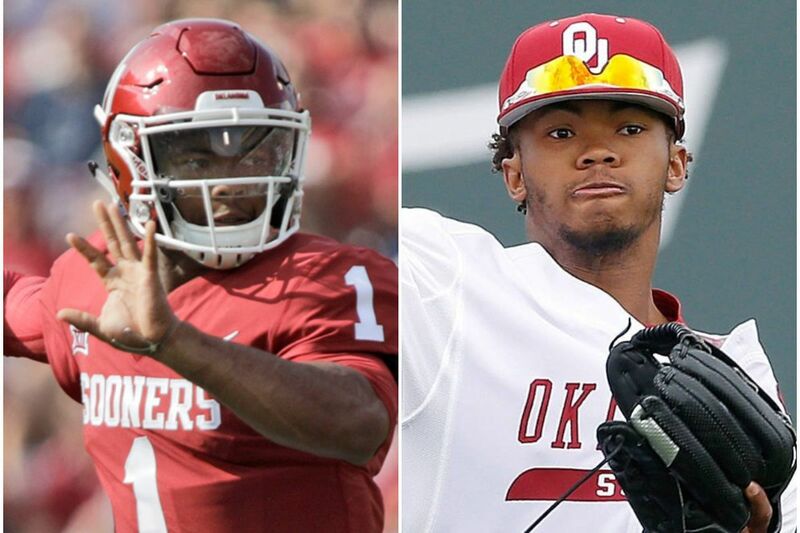 Though him declaring for the draft is big news, we are still not out of the woods when it comes to Kyler Murray’s decision to play baseball or football. Another incredible thing to look at is the amount of talent at the quarterback position for Oklahoma. Baker Mayfield wins the Heisman and goes No. 1 overall in the draft and he leaves and the Sooners follow it up with a first round MLB draft pick who follows it up with another Heisman Trophy. Murray is undersized, but so was Baker. He’s not 5’8″ like Murray is, but a lot of experts were blowing holes in Mayfield’s skill set when he was picked No. 1 overall. Time will tell if the Oklahoma star enters the NFL Draft or the MLB Draft. One thing is for sure, he will not be back at Oklahoma, which is great news for Mountaineer fans.